A year ago, the Kremlin issued a stark warning: that growing competition for control of global energy resources could spark wars on Russia's borders, including those in Central Asia. "Problems that involve the use of military force cannot be excluded, that would destroy the balance of forces close to the borders of the Russian Federation and her allies," said a key Kremlin strategy document assessing the main security threats of the coming decade. Just 20 years ago, Russia and the energy-rich countries of Central Asia, such as Kazakhstan and Turkmenistan, and Azerbaijan in the South Caucasus, were all united, as parts of the Soviet Union. Moscow would have had unfettered access to their oil and gas reserves. But the Central Asian states realise one of their greatest strategic strengths as independent countries is playing off the big global powers now scrambling to buy their precious energy supplies. 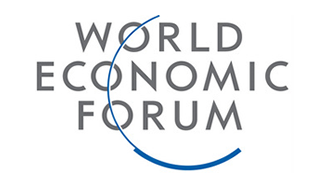 So, Moscow now finds itself in fierce competition with the big players: China, the US and Europe. "Russia's overall position in Central Asia is shrinking," says Mikhail Kroutikhin, editor-in-chief of the Russian Energy Weekly. "Russia is in retreat and the Chinese are jumping on the big opportunities." Rivalry in the region is often compared with the 19th Century British-Russian imperial rivalry nicknamed the "Great Game". The past year has seen some key moments in the new energy "Great Game" in Central Asia, with the first pipelines being commissioned that take oil and gas east to China, instead of north and west. From Kazakhstan, 200,000 barrels of oil are now being pumped every day across the border into the western Chinese province of Xinjiang, and there are plans to double this pipeline's capacity. 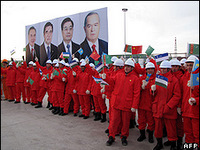 From Turkmenistan, a pipeline carrying gas to China via Uzbekistan and Kazakhstan was opened last December by the Chinese President Hu Jintao. It could satisfy around half of China's current demand by the time it reaches full capacity in 2013. Turkmenistan's President Kurbanguly Berdymukhamedov called the deal "political" as well as commercial and heaped praise on China's "wise policy", saying it had become "one of the key guarantors of global security". With this agreement, Russia's stranglehold on supplies from Turkmenistan, which has the fourth-largest reserves of gas in the world, was broken. And while China and its new Central Asian energy partners were locking themselves in an ever-warmer embrace, Moscow found itself at loggerheads with its erstwhile client state. Having agreed two years ago to pay a much higher price for Turkmen gas, to ensure it remained a loyal supplier, the Russians suddenly shut the taps 12 months ago, causing the pipeline to explode. Analysts believe Moscow had decided it did not need the gas because of the downturn in global demand and prices during the economic crisis. Even now it is only taking a third of what it was expected to buy, angering the Turkmen government and pushing it further into the arms of the Chinese. "As regards Russia's role in the region, it has taken a step back in energy," says Chris Weafer, chief strategist at Uralsib Bank in Moscow. He believes it was not just the global economic crisis that prompted this. It was also, he says, because Europeans searching for gas supplies for their planned Nabucco pipeline were offering much higher prices for Central Asian gas. "The game changed because of Nabucco. Up to 2006, Russia could buy cheap gas from Turkmenistan, Uzbekistan and Kazakhstan - $50 for 1,000 cubic metres and then sell it to Europe for $250. "But from the start of 2008, Russia had to agree to pay European prices - $300 per 1,000 cubic metres." 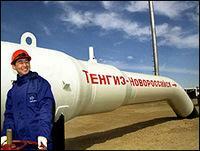 "Gazprom was not making any money out of it. So the political will to be involved has abated. Russia has let the Chinese into Central Asia." And that is something Moscow may ultimately come to regret, because it also wants to be a major supplier of oil and gas to China. With China already heavily investing in the two most important Central Asian energy suppliers, Turkmenistan and Kazakhstan, Russia may struggle to compete. Analysts say a deal may finally have been done - on the condition that the gas comes from a field and pipeline that are exclusively for Chinese use. Officials also hope the first oil pipeline between the two countries will be completed by the end of this year. Another project which Mr Putin is determined should go ahead is Russia's South Stream gas pipeline, across the Black Sea and into the heart of the European Union. The rivalry between this and Europe's alternative plan - the Nabucco pipeline - is one of the most intense in the Caspian Sea region. The Europeans, who want to break free from their growing dependence on Russian energy supplies, desperately need supplies from the region to make the Nabucco pipeline viable. And the Russians are trying to thwart this. One key battleground is Azerbaijan, which has yet to declare whether it will feed Nabucco with its gas. Its decision is critical.